To varying degrees of success, those were hunted down pretty easily (although I regret never seeing the robotic Coke machine). 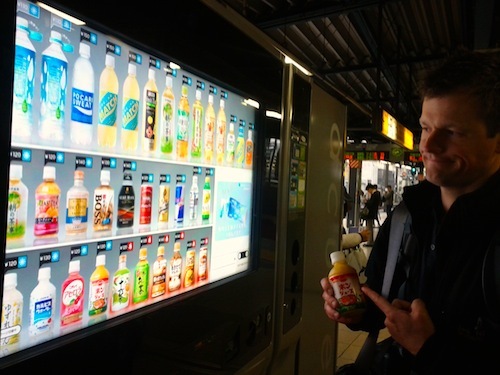 The machines, developed by a subsidy of the train company JR East Co., **analyze your facial features to determine your age and gender and recommend a drink accordingly. ** They also change recommendations to match time of day and temperature. It uses algorithms such as men prefer canned coffee and women like slightly sweeter drinks. **[Sales from these machines have tripled](http://www.reuters.com/article/2010/11/15/us-japan-machines-idUSTRE6AE0G720101115)** in comparison to regular machines. try some others next time.